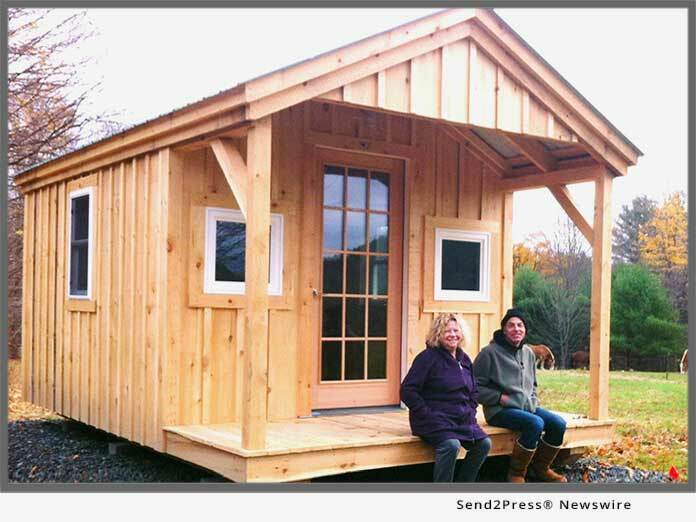 SOUTH LONDONDERRY, Vt., Feb 15, 2019 (SEND2PRESS NEWSWIRE) -- Jamaica Cottage Shop, Inc. provides business to consumer wood manufacturing, Internet marketing and online retail. It's also one of the fastest growing businesses according to Inc. 5000. Not only have the companies on the 2018 Inc. 5000 been competitive within their markets, but the list, as a whole, shows staggering growth compared with prior lists. In 2018, Jamaica Cottage Shop ranked 3,967, overall, and number two in Vermont. In 2017, its revenue was 3.7 million which yielded a three-year growth increase of 89 percent ( https://www.inc.com/profile/jamaica-cottage-shop ). When asked about businesses who make the Inc., 5000, James Ledbetter, Inc.'s editor-in-chief said, "If your company is on the Inc. 5000, its unparalleled recognition of your years of hard work and sacrifice. The lines of business may come and go, or come and stay. What doesn't change is the way entrepreneurs create and accelerate the forces that shape our lives." "We're excited to be one of the fastest-growing companies in the U.S. and are confident we'll continue to grow," Domenic Mangano, owner, Jamaica Cottage Shop, says. A Vermont-based retailer of prefab buildings, plans and kits, with customers throughout the U.S. and parts of Canada, the Jamaica Cottage Company manufactures and sells kits from native rough sawn Vermont post and beam timber frame for tiny houses, cottages, cabins and sheds. Elegant cottage designs are available for all shelter needs. There are currently five kit formats available: DIY, frame only, pre-cut kit (PCK - most popular), 3 season and 4 season PCK and fully assembled. These fully-assembled structures are delivered as one unit to areas in the Northeast only. Since 1982, the Inc. 5000 list has honored the extraordinary journeys of the fastest-growing companies in America. It's the most prestigious honor for growing private businesses and business leaders. Founded in 1995 by Domenic Mangano, Jamaica Cottage Shop, Inc. is a privately-held company. The name is derived from the town where it was first launched - Jamaica, Vermont. It's a group of premier builders of fine post and beam buildings such as tool sheds, cottages, wood sheds and livestock shelter. Built by Vermont tradesmen, each structure is crafted with a personality of its own creating a distinctive and aesthetically pleasing sight that will enhance any landscape. It offers complete design-to-finish solutions for clients searching for a special sanctuary. To learn more about Jamaica Cottage Shop, visit: https://jamaicacottageshop.com/. Watch our videos here: https://jamaicacottageshop.com/about-jamaica-cottage-shop/. To request more information, email: design@jamaicacottageshop.com.